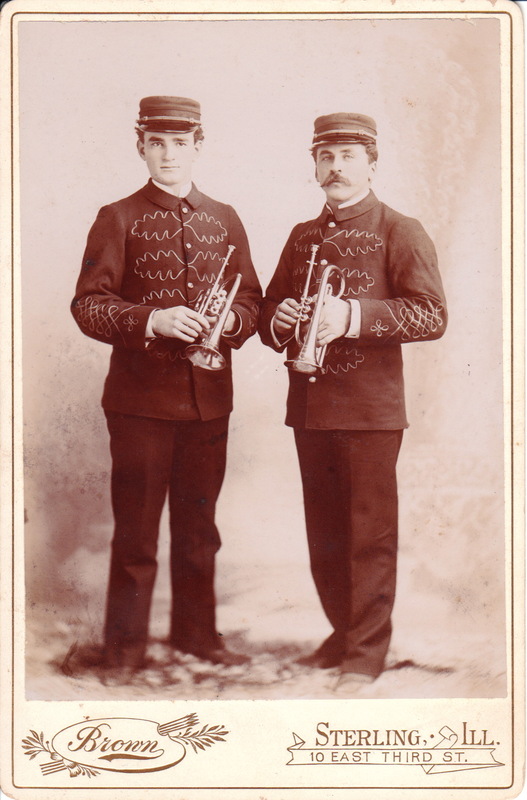 Two trumpeters in band uniforms pose for their portrait at the Brown studio in Sterling, Illinois. This is one of those times that there is a need for consultation from one of the visitors to the Cabinet Card Gallery with band instrument expertise. Are these men holding trumpets, cornets, or bugles? 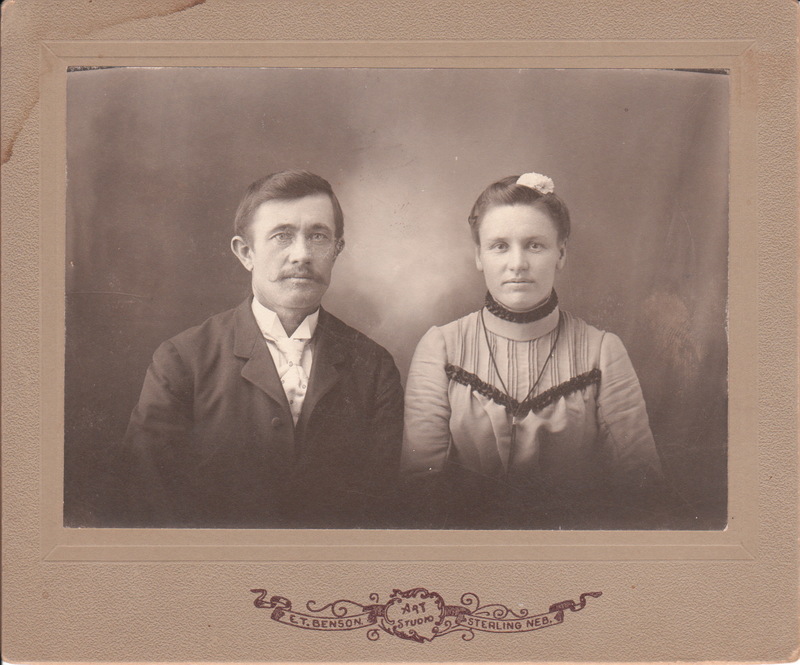 One also wonders about the relationship between the two men in this photograph. Are they father and son?Unfortunately the subjects are not identified and their relationship, besides being bandmates, is unknown. In addition, the men’s uniforms lack patches or lettering to suggest their band affiliation. Research yielded no information about the photographer of this image.